TOUCH OF CREATION: DCWV- Tombow USA Blog Hop!! 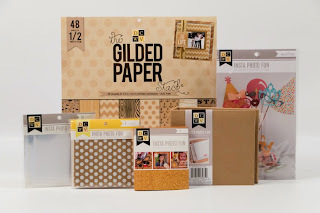 Welcome to the Gold and Cork Blog Hop with Tombow USA and DCWV! Today & tomorrow we will share gorgeous projects using GOLD and CORK! You probably came here from Daniella Hayes but if you happened to stumble across my blog go to the Tombow USA Blog to start! I used gorgeous DCWV - The Gilded Stack , Burlap stack and Cork Stack for this layout. The Gilded Stack is absolutely fabulous...love all the woodgrain and Gold in it!! I also used few Insta products, glittered cardstock, Vellum and mirrored stars. I love this layout of my handsome fur baby...KOKO!!! Tombow Xtreme Adhesive is the best....super strong and great for all these layering! I used Tombow Mono Multi Liquid adhesive to adhere the delicated heart diecut and mini diecut hearts. Hope you like this layout....hop along with us to see all the gorgeous Gold & Cork creations. To win, visit and comment on the participating blog posts. You have until March 31st at 11:59 EST to comment. A winner will be picked randomly and announced on April 1st 2015. 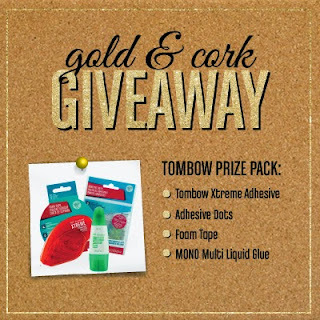 Tombow will be giving away: Tombow Xtreme Adhesive,NEW Tombow Adhesive Dots, NEW Tombow Foam Tape and everyone’s favorite the Tombow Mono Multi Liquid Glue! DCWV will be giving away: The DCWV Gilded Stack, a 4x4 Cork Stack, Insta Kraft Album, Accordion Album and a set of Birthday Photo Props! Remember to “Like” Tombow USA and DCWV on Facebook. Next stop is Jennie Garcia..
very beautiful layout, loved all the geometric elements and the contrast of cork, kraft, black and gold !! awesome, the gold really makes it so magnificent !! Love your beautiful layout....especially that gorgeous doG!! 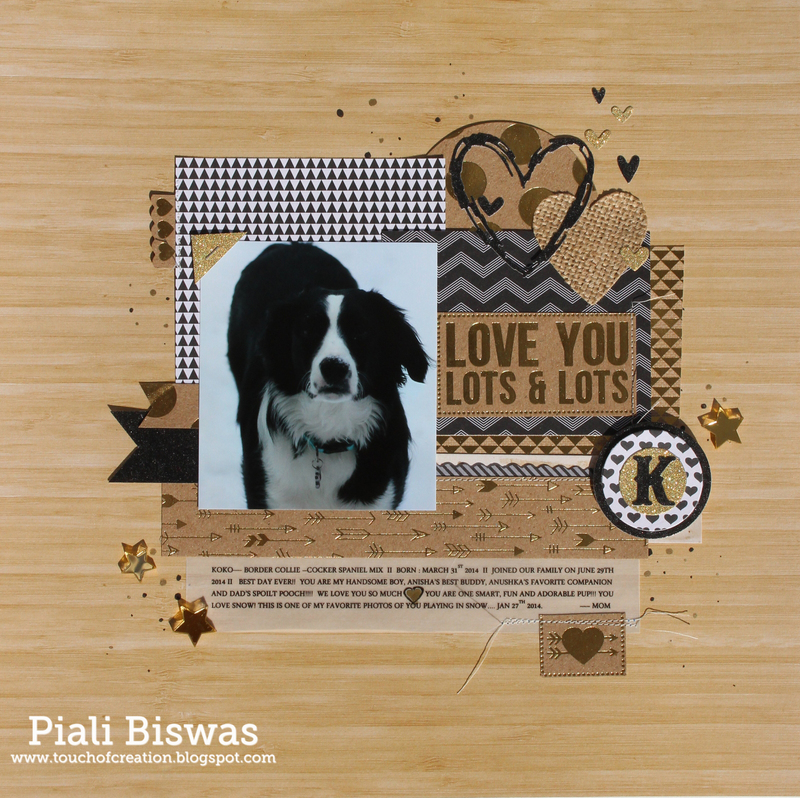 beautiful layout, piali! i love the mix of textures. and your koko is DARLING! Beautiful layout! I love the color theme! Beautiful layout. Thanks for sharing. What a fab page for Koko!! Oh, this is AWESOME! Love it! A wonderful mixture of products that came together beautifully! Such a cute project. Great layout. What a FUN layout Piali! Just beautiful. What a great way to celebrate a new fur baby!! Beautiful work! I also love the rich gold and wood tones of this collection. And nothing beats Tombow adhesives! You have an adorable fur baby! So sweet! I love the paper! Oh this is awesome!! What a great mix of textures for your dog page. Love it! Wow, this is such a great and fun layout! Using a black & white photo really compliments the papers nicely. WOW Piali, your layout is fantastic!!!! AWESOME layout! Koko reminds me of my Bella Girl! We had to give her up because she was not a multi-dog kind of girl and I miss her so much. She is with my neighbor's parents and so much happier being the Queen of the roost though and I still get to see her often! I love this layout so much because of the multitude of patterns used on it! So cohesive and gorgeous positioning of each of them. TFS! Your layout is great. (Your fur baby is too!) An awesome page. This really made me miss my childhood Border Collie Mix. I love what you wrote on this page. The layout is perfect. Wonderful layout and darling puppy! Great layout. the animals are as much a part of our families as the humans and deserve their special pages. thanks for sharing a wonderful page. Oh, our fur babies deserve fabulous layouts! This is so sweet! Love your design and embellishment. This layout would look great with a wedding photo too. Cute layout, thanks for the inspiration. Super cute layout. Love the distressed heart. I agree, love this layout of Koko! Love all the geometric elements and the contrast of cork. TFS. Beautiful! I love the gold and cork together. I Am sure loving this blog hop learning a lot of nice lay outs! Thanks! Koko is BEAUTIFUL Piali, so is your layout, LOVE your combo of pretty patterned papers with the POP of gorgeous gold!!! I like the design and the different papers you used on this layout. Love that you made this precious layout of your puppy!!! I love all of the fabulous gold and cork!! Gorgeous layout love your work. I also am intersted in some stamps ilu4eva3@gmail.com I messaged you on FB as well.